In Chinese folk tradition, the gates of hell open every lunar seventh month and release all the spirits from hell. Known also as Zhong Yuan Jie, this time sees ghost take a holiday from hell to visit the world of the leaving. Most ghosts are benign and take this time to visit their families and loved ones, some are vengeful and return to seek revenge for wrongdoings, young child ghosts (stillbirths etc) will roam the streets in search of their parents, while fiendish spirits will try to claim new victims. Building up to this day, you will see on the streets of the heartlands, small processions of people in solem religious ceremonies. At the head of the procession, is a lion dance troupe with the acrobatic lions moving supranaturally to the beat of the drum. Behind them, huge (5 metre tall) stilt figures held aloft by a few men, ‘saunter’ in. These guards open the way for the main altar with a statue-sedan held by at least four men. Unlike most processions, this altar is swung from left to right. Further behind them are a group of people accompanying a person dressed up in seemingly periodic Chinese attire, behaving differently. The lion dance troupe, as with all lion dances are there to scare away the evil spirits, the huge figures are guards protecting the diety on the altar. They are followed up by people who are possessed by other smaller dieties (known as dang kee). On the first day of the lunar seventh month (this year that date is 7th August), the gates of hell will be flung open and the spirits released. On the vigil night, many households will prepare offerings to welcome back their loved ones. Interestingly, every vigil night will be marked by a huge rain – thats what the elderly have observed. In thousands of homes, make-shift altar will be prepared with gifts and food and other things that the dead enjoyed when they were alive. All the gifts will be claimed for the family by writing the name of the deceased and then calling out their names. But it isn’t just the family ghosts who matter, the wondering ghost are important too too. Prayers are offered to them, usually a mixture or tea leaves, candy, biscuits and paper money. The lunar seventh month tends to see a minor spike in CO2 emissions. In Chinese taoist culture, the burning of paper offerings is very important because it is believed that the dead receive these burnt offerings as real things. When a person does, sometimes a huge paper house is burnt together with servants. Nowadays you can also get paper Ferraris, iPhones, iPads, Samsung N5 laptops and pet animals too. 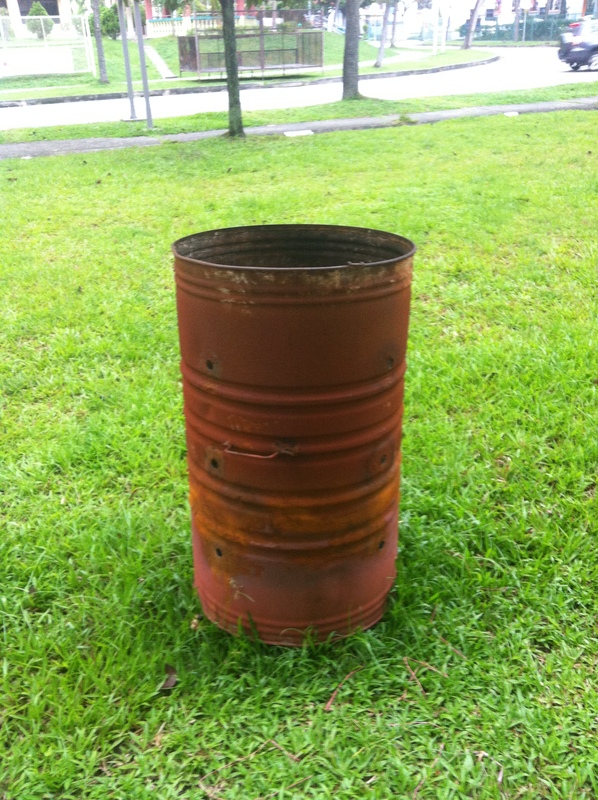 The paper money is then burnt in a huge container. This marks the family and keeps the ghouls appeased. There are three days that matter, the first day the fifteenth day and the last day. 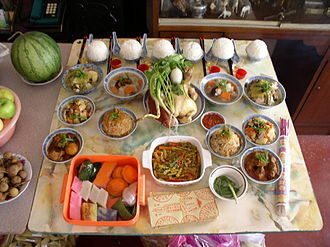 The fifteenth day is the climax of the month, known as the Hungry Ghost Festival. Sometime in August you will find huge stages erected with garish, sometimes sexually suggestive performers. 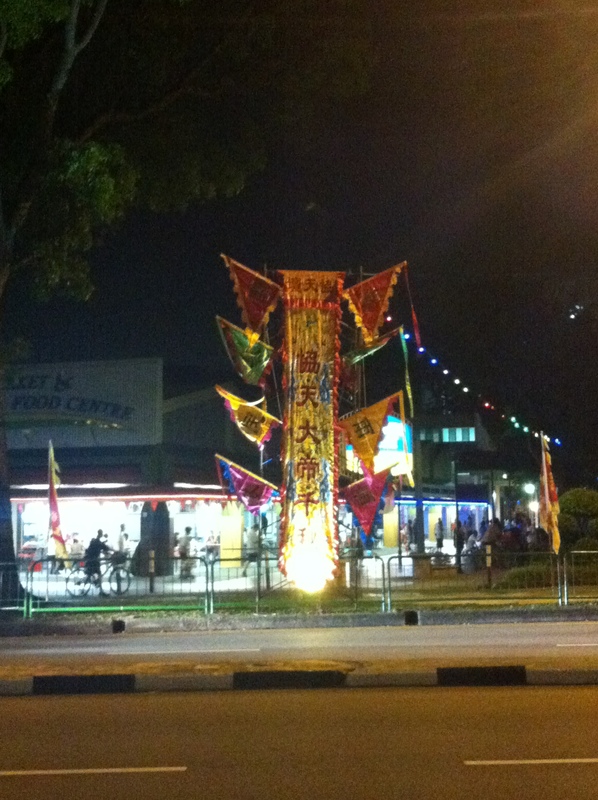 Next to these getai’s will be traditional opera stages. These performances aren’t for you, hell no. You can watch it if you want, but it wasn’t created for you’re entertainment. 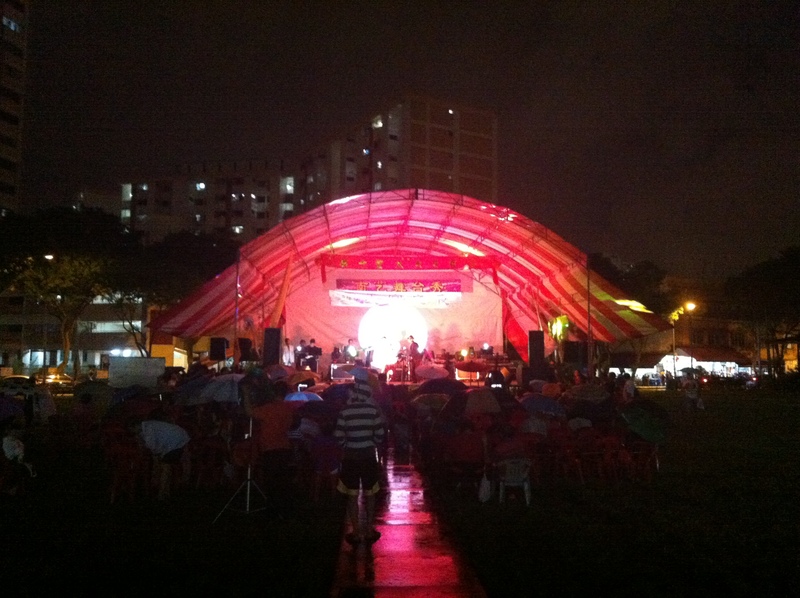 Go a little closer to this getai and you will notice that the front row is empty. This is reserved for the VIPs – the spirits. Interstingly, you will not find this practice in China, but in other places where there are significant ethnic Chinese populations (Singapore, Malaysia, Taiwan, Hong Kong etc). Such folk practices were eradicated rather thoroughly througout China during the cultural revolution, although they are making a return now. Yin energy (which is what spirits are full off) are believed to grow stronger at night, especially after the sun sets, so the world ‘belongs’ to the spirits. Spirits may be calling out to you for help, if you respond then you must help. You wouldn’t like it if people stepped on your things right? Same logic. This is particularly true if you are not from a Taoist/Buddhist/Confucian tradition or did not grow up in one. There are many grapevine stories of people not of the religion who made fun of these practices and were punished by the spirits. Most cultures have this thing, photographs seem to be able to capture spirits. See the same reason on stepping on things used for prayer, add in the fact that prayer is divided between offeerings for familial spirits and wondering ghosts. And where things are burned (particuarly joss sticks), spirits are sort of ‘eating’ the joss stick as food and you wouln’t want people to step on your food/money right? Thats reserved for the spirits, unless you like people sitting on you. I think spirits don’t like that. Its not politically correct, but culturally spirits can sometimes appear as very attractive females particularly if they are vengeful. Don’t ask me why, just is. Sudden fragrant smells are not perfume, but usually represent the presence of a spirit/god. Since this is the seventh month, lets just assume the former. Thats as good as tearing the money up. Now, interestingly Singapore’s National Day almost always falls on the Hungry Ghost Month, and that being a special day for the country, some older folks believe that the large fireworks helps to ‘protect’ the country by entertaining the spirits. postscript: here’s a movie entitled 881, revolving around the Ghost Festival to lighten the mood. Oh and a new one from RyanSylvia (updated 27 July 2014). I've moved from Singapore to Sweden since Aug 2016, but there are still many exciting posts to come about Singapore on this blog. I'm also beginning to work on a second blog - The Heartlander Overseas. I want to explore Singapore too! (one man service team kicks the barn door like some western shows and gets to our table) "Take the combo it has everything, you should have beer with that. Okay good. Wait." (after paying bill) "Okay bye" Ah the 'warmth' of real authentic Austrian dining! I.e. No service 😂, why does this feel like home 🤔😁 The food was good and hearty though.